Hi, where can we take you? 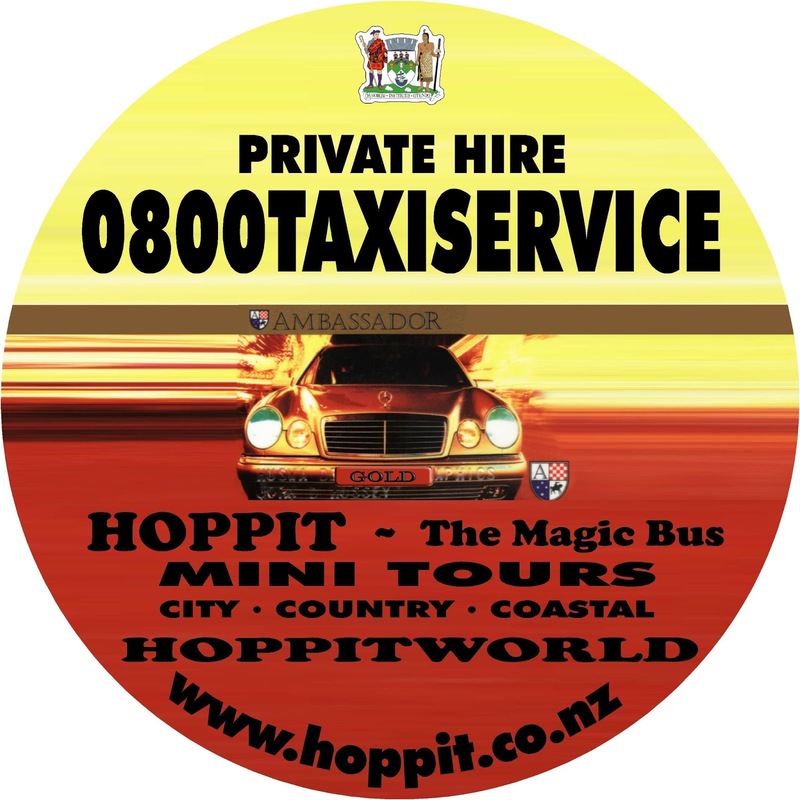 Hoppit is a transport company based in Dunedin, New Zealand and has been servicing the transport needs of this city since 2002. 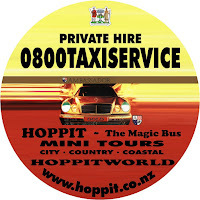 We specialize in group transport and customized tours for Dunedin, the greater coastal region and right throughout Otago. 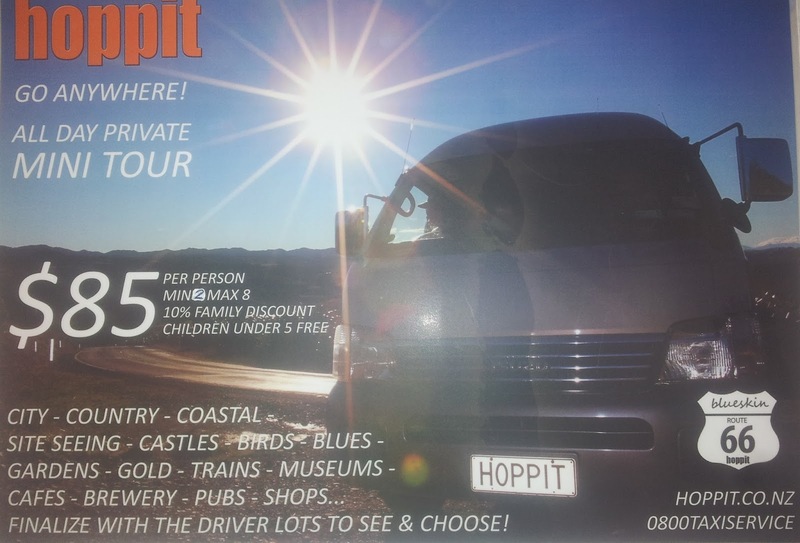 Are you interested in Group Transport or Tours in Dunedin? 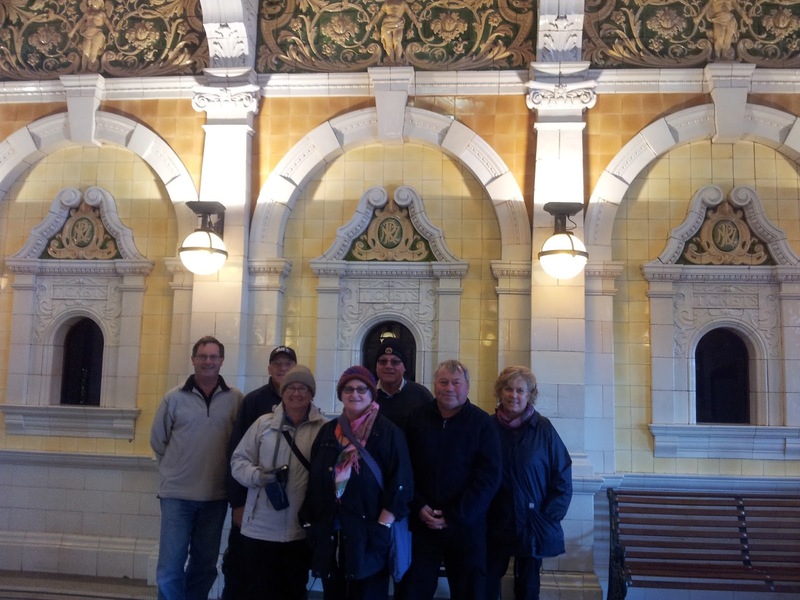 Yes.. that's where we were this morning..
Murry and Kaye. Mel and Marg. David and Jan. Sue and Rob. Kiwi birds are considered safer in New Zealand when isolated, as breeding numbers are monitored and actively protected by over 80 different community groups who use fenced predator proof sites and predator free islands to try and increase numbers. 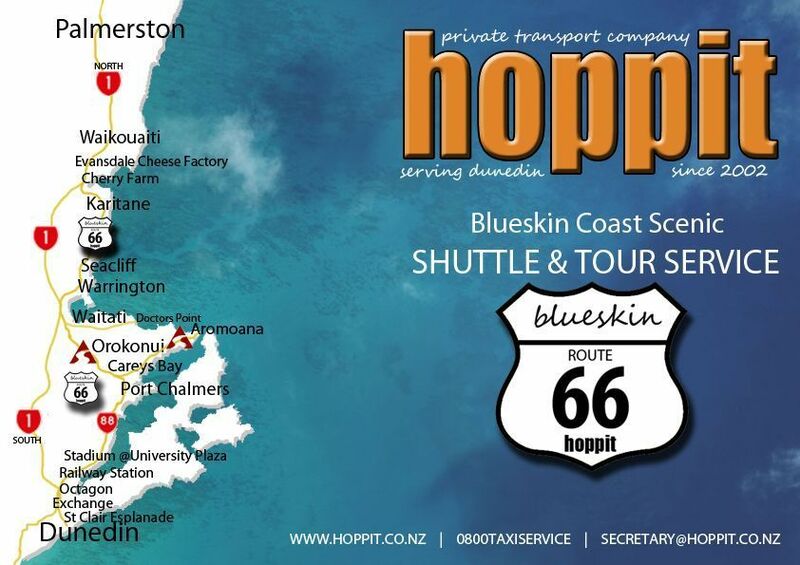 The $2.2 million Orokonui Ecosanctuary situated at Blueskin Bay, Dunedin is the only such place on mainland South Island. 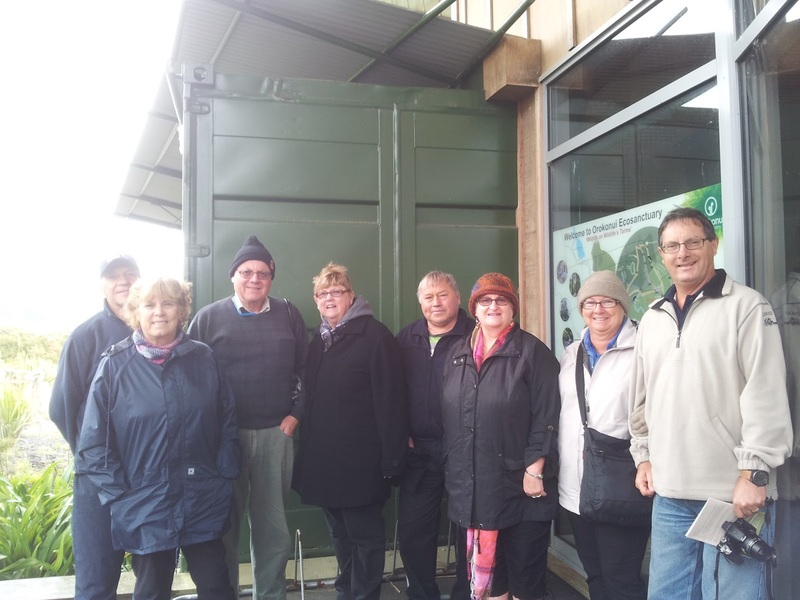 It runs an 8.7 km, close to 100% pest proof fence over its 307 hectares of land. 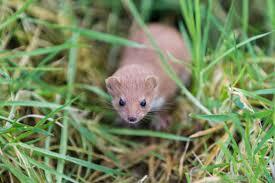 The biggest threat to Kiwi chicks are the stoats and to the adult Kiwis the dogs, followed by rats and wild cats. "Where there are rats there are stoats." 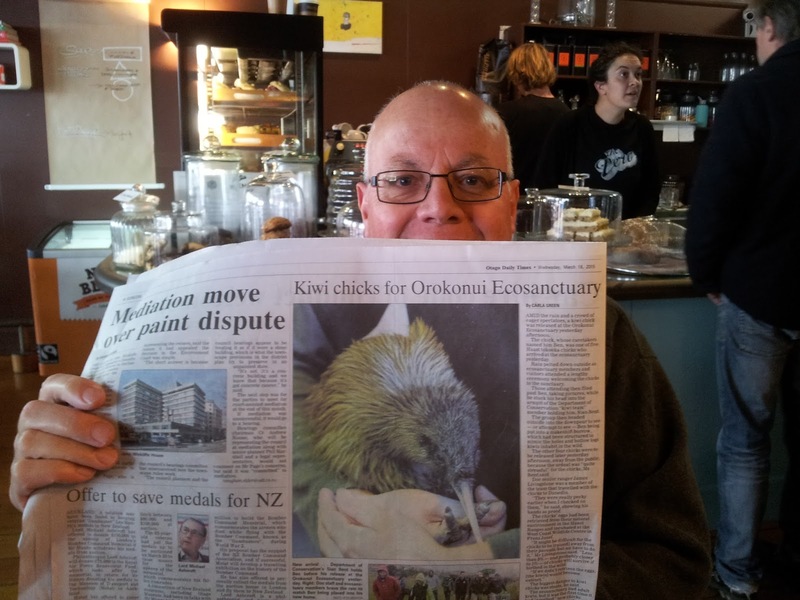 Sadly a local story was published recently (2nd July 2015) about the Orokonui Kiwis having to be moved due to a stoat found within the boundaries. 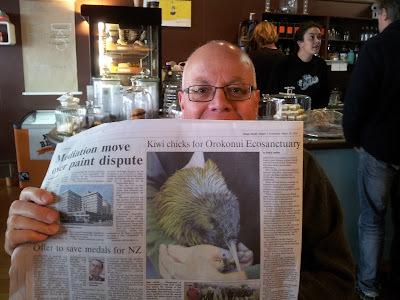 There are five species of Kiwi in New Zealand: And latest statistics show approxiamtely 70,000 are remaining in all. 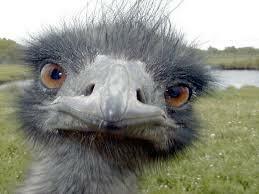 The Kiwi are mostly nocturnal and the only birds to have nostrils at the end of their long bill. Females are larger than the males. They are 'longlived' creatures, able to live between 25 to 50 years. Adult Kiwi usually mate for life and are strongly territorial. Males do most of the incubation. Chicks hatch fully feathered after a big incubation period of 70 to 85 days and emerge from the nest to feed themselves after five days old. They are never fed by their parents. Juveniles grow slowly taking three to five years to reach adulthood. 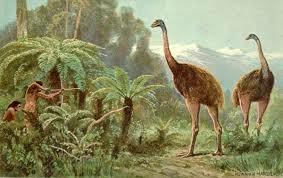 The Kiwi is related to a group of birds called Ratites. 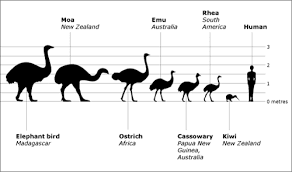 The Waitaha, the giant flightless elegant Moa, that roamed freely over New Zealand during the 17th and 18th century, was one of their closest relatives but became extinct within 200 years of the Polynesian settlement in 1500 A.D. 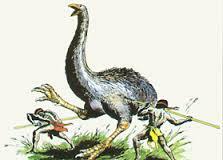 It is believed their extinction was through human consumption as much as evolution. 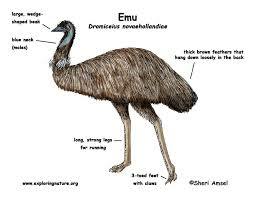 Their other close relatives are the existing Emus and Cassowaras mainly living in the outbacks of Australia. 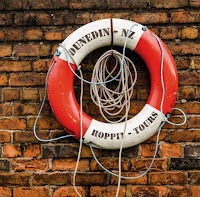 Is the Kiwi bird an Australian immigrant ? Well researchers believe they may have finally solved the 150 year old mystery. Researchers have discovered that both the Kiwi and the now extinct giant elephant bird share the same DNA. It shows they both descended from a small flying bird which probably flew here from a source populated off the Antarctica, a time that was more hospitable for the creatures that inhabited the cold land, unlike today where they would die from the extremities and unable to find food. 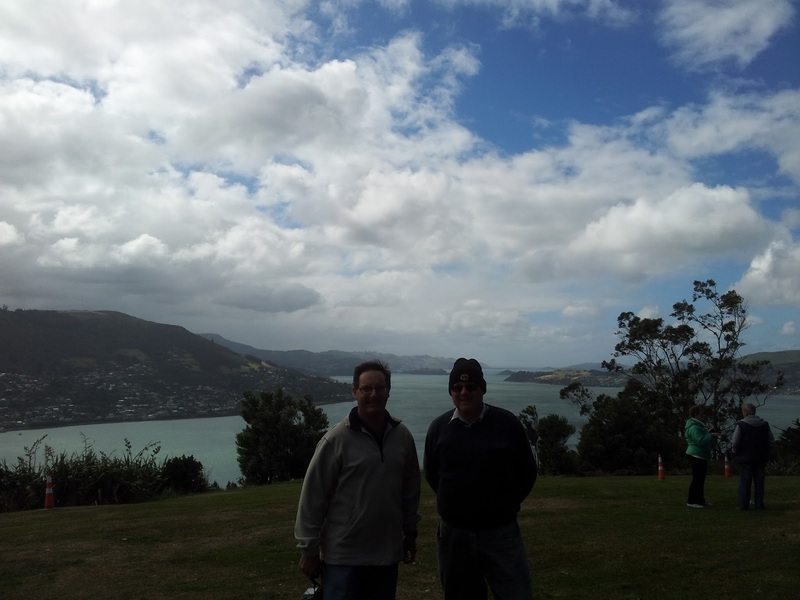 ........Aotearoa......Land of the long White Cloud (and rainbows.......). 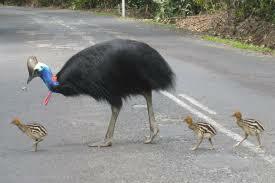 The Kiwi bird is also a significant natural icon of New Zealand. 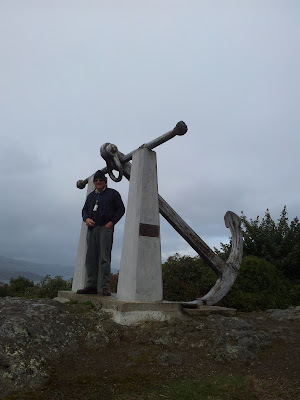 It is a symbol for the uniqueness of New Zealand wildlife and natural heritage. 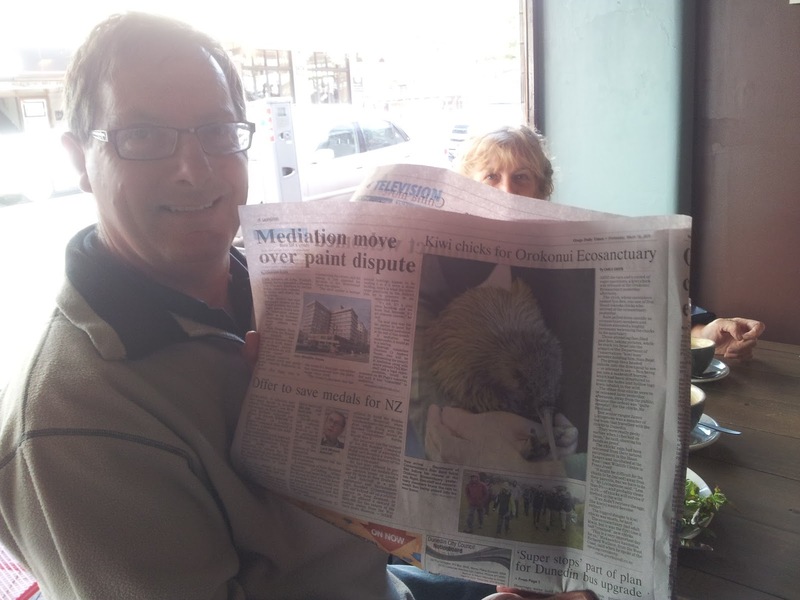 Kiwi birds are a taonga (treasure) to maori indigenous. 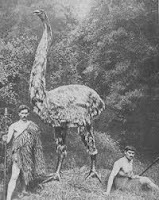 The feathers were valued in weaving kahukini (feather cloak) for he tangata (the people) of high ranking, such as the chiefs and tohungas (priests). Due to the cultural significance of tangata whenua ( people of the land) and their traditional knowledge, the Maori of today's times are a key stakeholder in Kiwi management and this has now been formally recognized as apart of The Treaty of Waitangi Settlement claim. 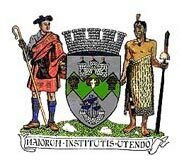 This also includes Ngai Tahu Claims Settlement Act 1998. 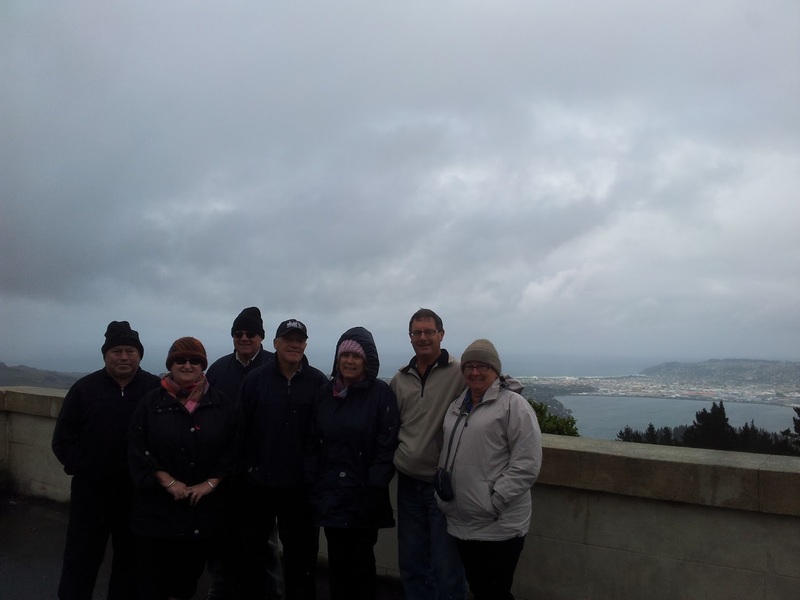 "This is a cold day for us today, in the month of March", said Sue, shivering in her jacket, hat and gloves. "We are use to 28 c in Melbourne". .......Yes well being 'Ozzies not Kiwis' could explain it all and of course Dunedinites are use to an average summer of 13c to 18c, with the exception of an occasional 25+c once in a blue moon. Even though there is Scottish blood in those veins of hers, as Sue and cousin Marg declared, "On dads side of the family, Johnstone", said Sue.....the South Pole winds still got into their bones....plus the universe was doing its thing this month of March, preparing for the three rare major celestial events, the Solar eclipse, the Red Supermoon and the Spring Equinox....no wonder, being March, the weather was so unusual for this season and this time of the year. 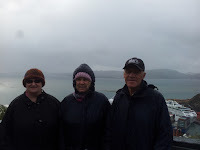 This was the first cruise ship visit to New Zealand for this group but for Rob and Sue, David and Jan, ten years ago they hired a van and did a road trip from Tauranga to Rotorua. And 39 years ago Rob and Sue flew to New Zealand for a holiday.....(In summertime....). 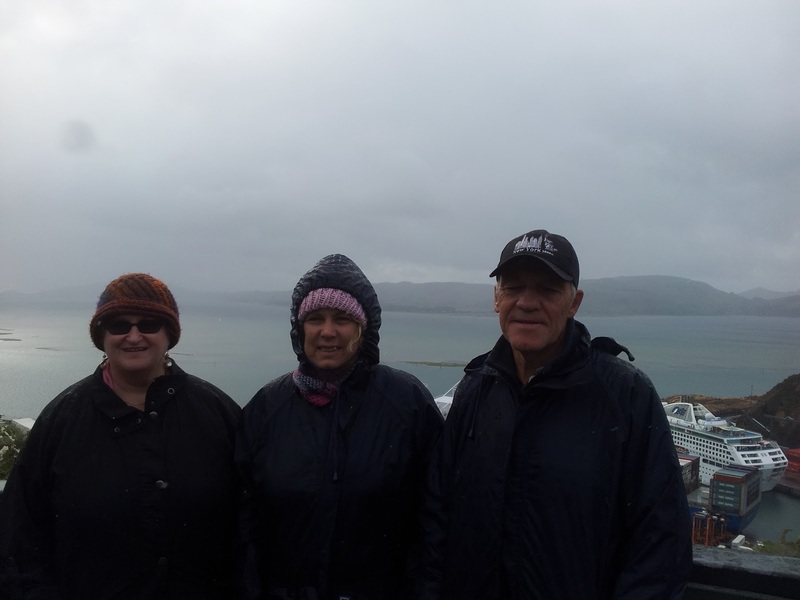 Mel had made a visit 45 years ago to the North Island only (where the sun shines more often) and three years ago to Rotorua. "I also have some awesome pictures of the Christchurch Cathedral", Mel said...."Sad it fell down". 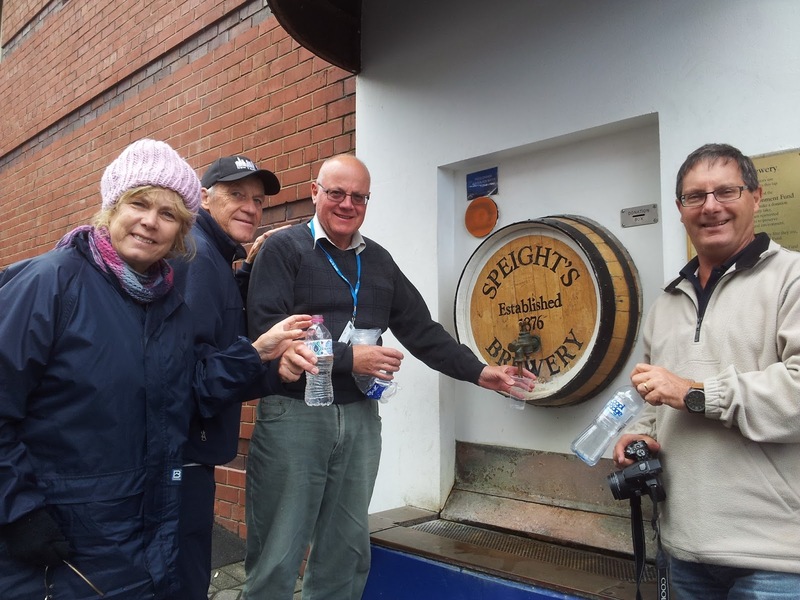 This group of old time friends told each other they would love to cruise New Zealand so that's what they did. Marg and Mel organised eveything and off they went. 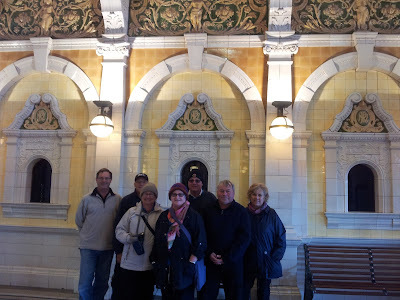 They enjoyed the Perc Cafe Central, food and it was the first time they had been offered marshmallows with hot chocolate in the whole of New Zealand, after visiting the six main Ports: Auckland, Tauranga, Napier, Wellington, Akaraoa and Dunedin. Says a lot really!!! "When we can't finish our food we give it all to Rob", said Mel with a big cheeky grin. "Rob eats all the food on the ship too.". The group verified it as correct and everyone had a laugh about it. 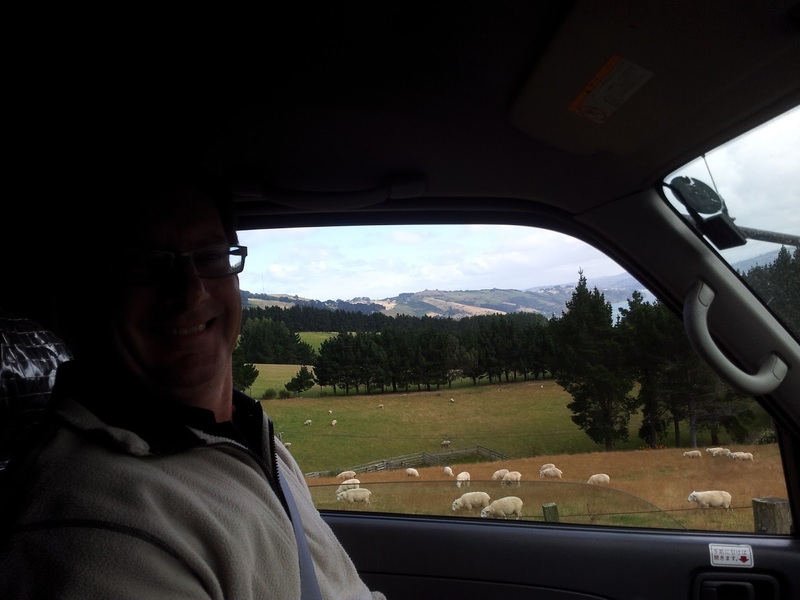 Rob is a good sort as we would call him here in New Zealand and he was a good nominated 'tour guide helper' sitting in the front seat. Always smiling even with the clouds of Aotearoa and the chilly winds of the South Pole.... and "Rob knows everything", said the group.. Well he is a school teacher along with Jan, Sue and David. The sheep baaaaaaaaaa..ed happily as some blue sky arrived and a aniwaniwa (rainbow) appeared and stretched out across the sky...just as the groups all day HOPPIT Tour ended. 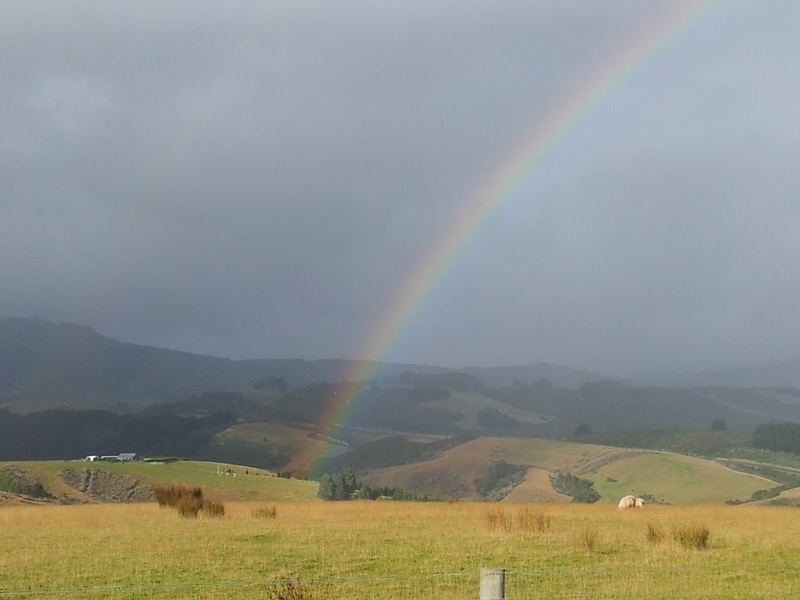 The 'pot of gold at the end of a rainbow'.. ..Well we like to think it was the cruise through the Fiordlands and the return cruise back home again to Australia. 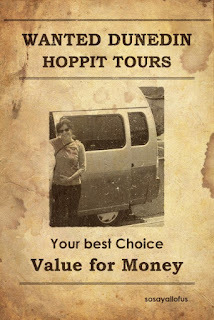 "Thank you guys, you have been a great group", said HOPPIT Tour Guide Driver Sharon. 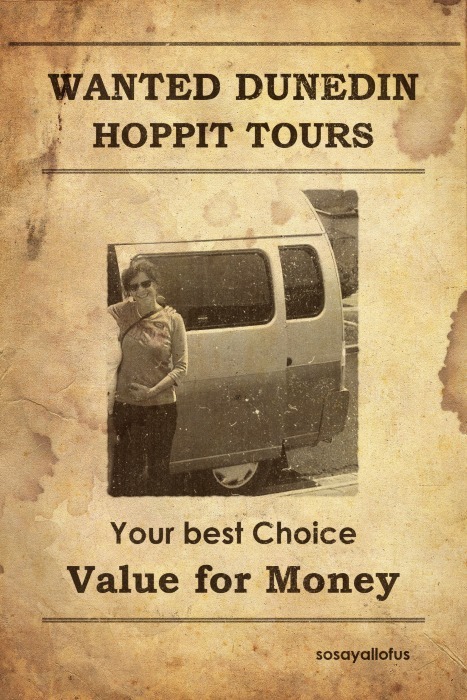 "THANK YOU FOR CHOOSING HOPPIT ALL DAY MINI TOUR"